Probably the best trailer I’ve seen out of E3 this year. I didn’t play the first game and had no intention of playing the second until watching this, which kind of sold me on the idea. Did Vader really expect like seven storm troopers to kill him? Pretty cool trailer, no game play though. Lucasarts has released a number of their older titles for both Steam and Direct2Drive. They packaged the games together, one package containing Jedi Knight series, the other package having a few of their classic adventure games. Direct2Drive adventure game pack contains The Dig, Fate of Atlantis, Last Crusade and Loom for $9.95, and the Jedi Knight bundle has Dark Forces, Jedi Knight II & Jedi Academy for $14.95. Steam, has the same adventure pack for $9.99 (save .04 using Direct2Drive!) and all five Jedi Knight games for $20. 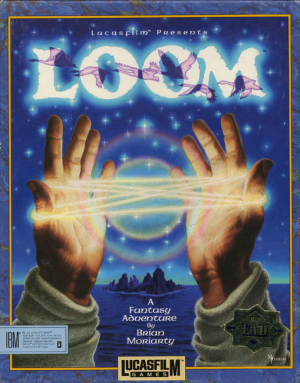 Loom has to have one of the worst covers, ever. Lucasarts, at least in recent years, has focused primarily on Star Wars and Indiana Jones games. They used to do other stuff, especially in the mid 90’s (their complete list of games is here). Perhaps attempting to branch out again, Lucasarts unveiled a new 2D platformer on GTTV today. Lucidity is part 2D platformer, part puzzle game and will be download only, available on the PC and through Xbox Live. 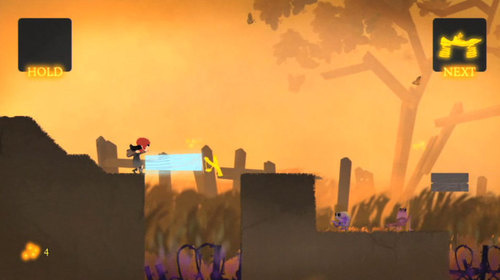 Instead of controlling the main character, Sophie, players alter the level so that Sophie can get across it (Sophie is A.I. controlled). Looks pretty interesting, I can’t wait to see more. The game will be released on Xbox Live later this month, no word on the PC release date. A few more shots, below.